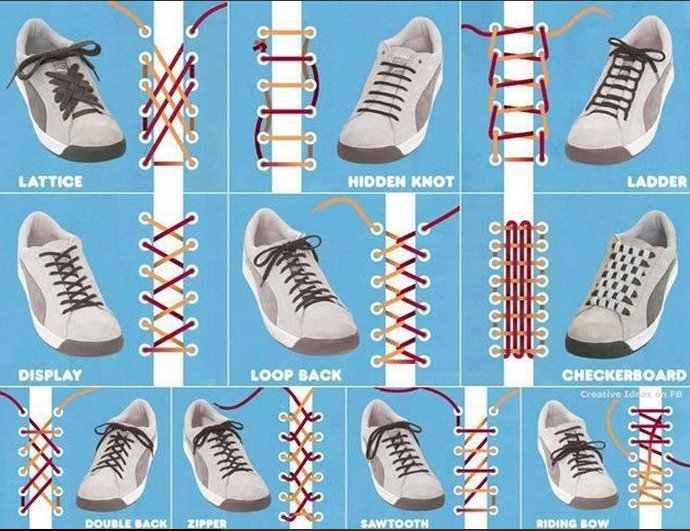 I have a very basic way of doing my laces – in out, in out, looped knot thing. That’s IT! In high school I did used to have neon shoelaces in my trainers and school shoes and I’d get friends to help me tie my laces in a fancy way. When I saw this I just had to share it. Also, I’m going to start practicing on my one and only pair of trainers that I own.